Don’t think it’s actually possible for 1 person to make a significant difference? 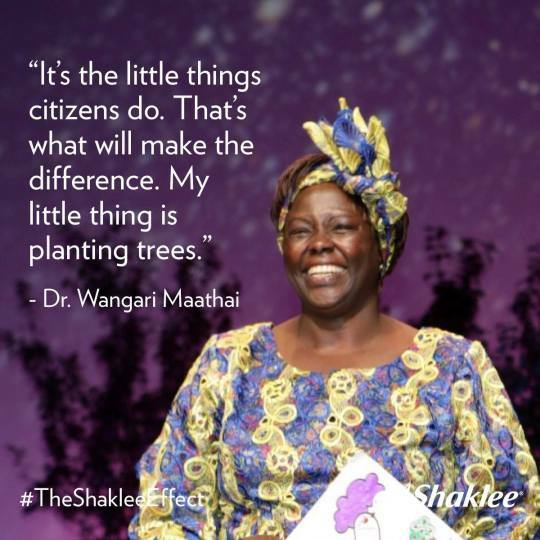 Dr. Wangari Maathai was the 2004 Nobel Peace Prize winner, Founder of the Green Belt Movement, and Global Ambassador for the Shaklee “A Million Trees. A Million Dreams™” campaign. Watch the incredible story of Wangari Maathai and prepare to be inspired!